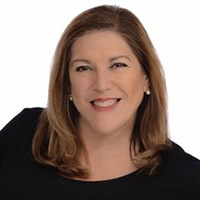 Donna serves as the executive director, strategic partnerships and influencer marketing, responsible for the development and implementation of winning marketing strategies and integrated sales and marketing programs at Comcast Business. She is an accomplished marketing and business leader, experienced in developing strategic partnerships, implementing organizational change, and managing projects designed to transform the enterprise. Notable record of developing and executing marketing strategies designed to generate revenue by creating high impact messaging platforms and creating experiential marketing initiatives that create advocacy and forge long term partnerships.